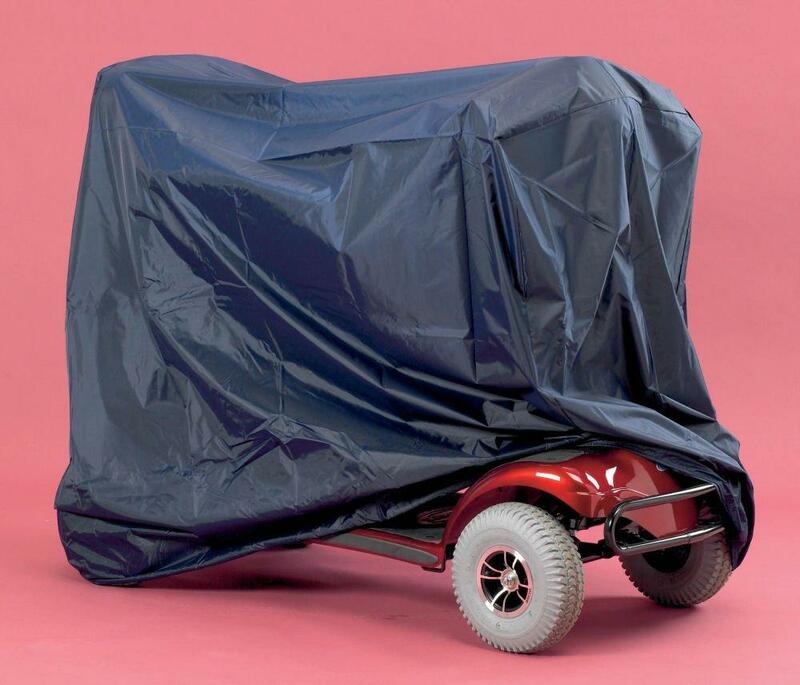 This Mobility Scooter Pannier Bag is a neatly compact bag designed to fit onto the armrest of most standard mobility scooters. 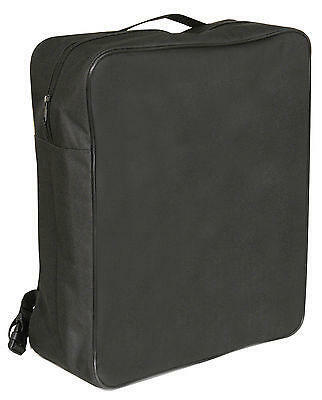 It has ample storage to fit for example clothing or for that bit of daily shopping. Made from 100% water resistant Polyester with a large zip closure it also has a further outer zip pocket for personal items such as mobile phone or credit cards and has a further mesh pocket which can carry small water bottles plus another pocket inside. 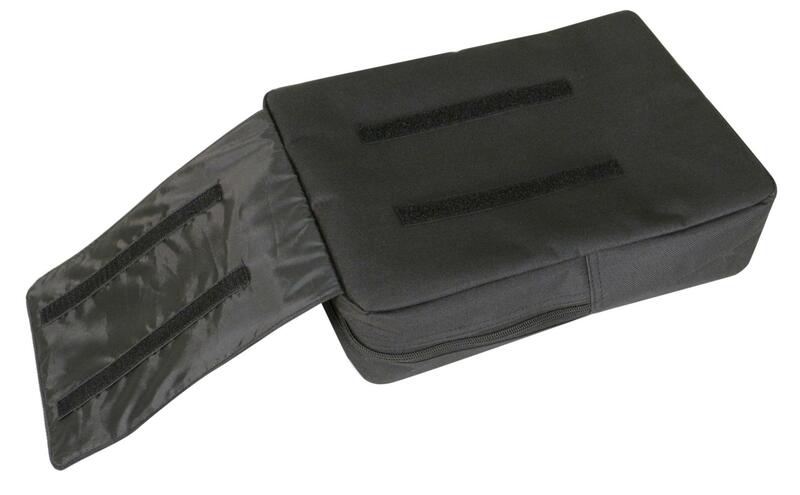 Comes in Black colour this mobility accessory comes complete with carry handle at the top and a hook and loop tape strip on the back of the bag which adjusts to fasten around the mobility scooter armrest. 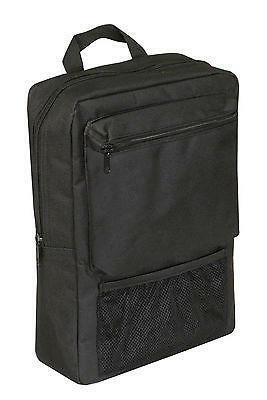 Another great affordable bag which allows the user to safely carry goods whilst maintaining safety hands free driving. 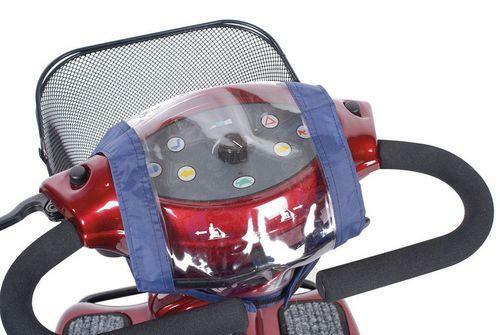 This mobility scooter pannier bag can be used on left or right armrests.